Simply put, Guillermo del Toro’s Pacific Rim is an absolute blast! A fun thrill-ride of a summer movie that had the audience I was in cheering like I haven’t heard in a flick in a long time. Rim tells the story of a rift that opens in the Pacific ocean floor from which crawl forth giant monsters known as Kaiju. These beasts keep coming and are hell bent on destruction and carnage, so the nations of Earth unite to built a fleet of giant combat robots called Jaegers to defend against the growing invasion. Each machine needs two pilots to mentally link with the robot and the film focuses on one such pilot, Raleigh Becket (Charlie Hunnam) who falls from grace after a battle costs the life of his co-pilot/brother. But the Kaiju are gaining ground and the Jaegers are being destroyed one by one. Now Raleigh is called back to service for one last, desperate mission to destroy the rift and end the threat. With him is a rookie female pilot (Rinko Kikuchi) whose past may be as painful as his own. Under Del Toro’s guidance Pacific Rim is a spectacular and visually sumptuous popcorn movie that has the spirit of one of those old fashioned Japanese monster movies mixed in with the hi-tech spectacle of a modern day event movie. As a fan of Japanese monster movies since I was a kid, I was enjoying every bit of it. Pacific Rim is non-stop fun, even if you’re not a fan of those movies. The battles are something to behold, but don’t move too fast that we can’t understand and enjoy what is going on. The Hong Kong battle is worth the price of the admission alone with it’s epic battle action and thrills. Del Toro populates the film with some very colorful characters like Charlie Day’s hyperactive scientist and a scene-stealing Ron Perlman as a black market Kaiju body parts dealer. The military characters seem charmingly corny as if taken from an old time WWII movie with Idris Elba playing, hard-nosed commander Stacker Pentecost, who hasn’t let command soften his ability to throw down and an eclectic assortment of multi-national Jaeger pilots, including the egotistical hot shot (Robert Kazinsky). The cast all take their roles seriously but, not too serious that we can’t tell that they are having a good time…and so do we. The design of the film is breathtaking as is with all Del Toro’s movies and the Jaegers and Kaiju each have their own unique style and personality. The FX work to realize them is amazing. The monsters come across as dangerous and lethal, making our mega-robots always the underdog which, has you cheering for them as you should be. And cheer the audience in Paramus, N.J. did and often. 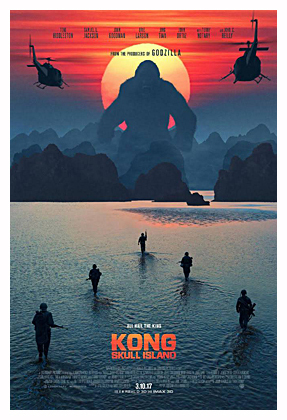 The versatile Del Toro has once again crafted a beautiful to look at film that has a delightfully old fashioned style, yet with all the modern hi-tech SPFX we’ve come to expect from a summer blockbuster. But no matter how exciting the action is, no matter how amazing the visuals, no matter how spectacular the FX, Pacific Rim most of all has huge amounts of heart and fun to make it a truly entertaining summer movie blast! I also can’t respect and love Del Toro enough for dedicating the film to both Ray Harryhausen and Ishirō Honda. That is true class and a wonderful show of appreciation to two of the great all-time masters! Highly recommended and stay through the credits! 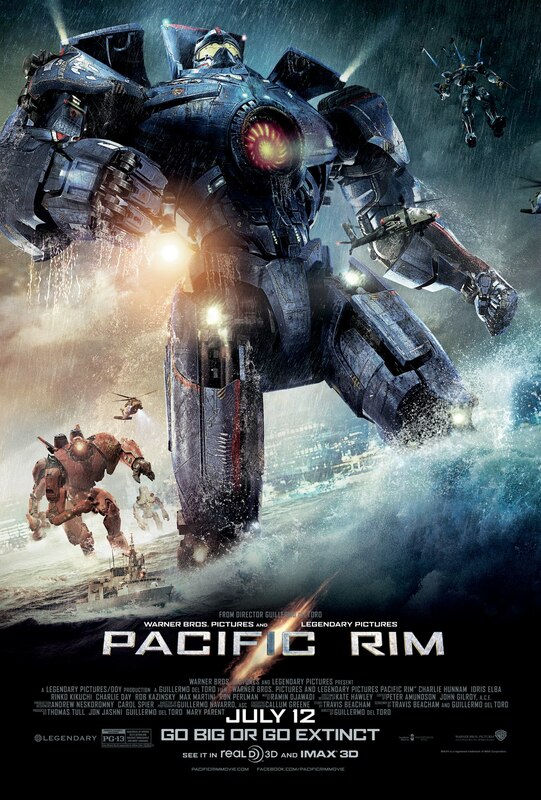 AWESOME “PACIFIC RIM” FEATURETTE IS ALL ABOUT THE MONSTERS! Guillermo del Toro’s Pacific Rim is all about giant monsters or ‘kaiju’ and the giant robots who combat them. This featurette takes us into the design and creation of Pacific Rim’s gigantic critters! 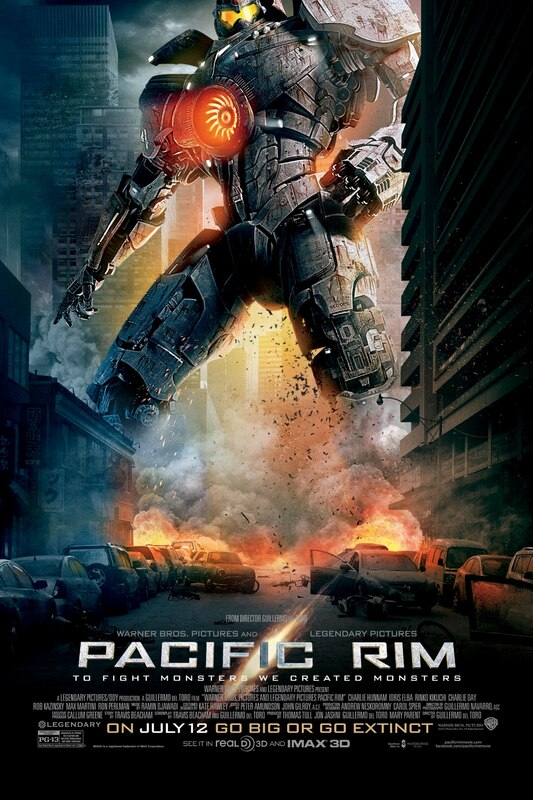 NEW “PACIFIC RIM” CLIP PITS JAEGER AGAINST KAIJU! Guillermo del Toro’s monster v.s. robot epic will be here in less then 2 weeks and this clip gives a small example of what kind of action we can expect. As a fan of Japanese Kaiju films since I was a kid, I can’t wait!